​Barcelona have eased the minds of French fans following Ousmane Dembele's clash with Raul Navas on Sunday evening against Real Sociedad. The youngster was involved in a nasty collision with his opponent in the first half, and was eventually pulled off after 54 minutes as a result. However, the worries have now subsided following a statement from Dembele's club. Following tests after the game, it appears that the wide man has only sprained his ankle. Though he'll be monitored closely over the next few days, the general belief is that Dembele will be fit in time for the World Cup. 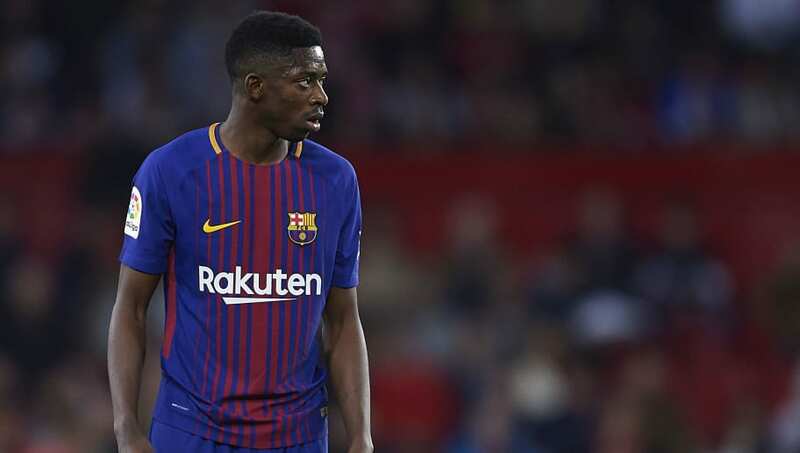 Dembele spent the first half of the season missing in his debut campaign at Camp Nou as a result of a hamstring injury soon after his arrival into Catalonia. Since then, however, his return has been an impressive one. Becoming an important part of Ernesto Valverde's side in the second half of the season, Dembele has set himself up perfectly for his second term with the league champions. While there is still the worry of his recovery in time for the World Cup, France have more than adequate replacements, with each of Lacazette, Martial and Coman all waiting on the wings to step in for Dembele should he fail to make it back in time.